Do you remember that first day of Spring Training? Hope filled the air, NESN was broadcasting live from JetBlue Park in Ft. Myers, Fla., and Red Sox Nation was attempting to put the past behind it. It seems like a long time ago, and it was, but it was all a part of something special – something that has brought the Boston Red Sox to within one game of a World Championship. There were all kinds of unknowns from a new managerial style to new players to answering questions about 2012. I doubt anybody in the Front Office knew what this season would hold. Sure, there was hope for a successful campaign and something to build on for the future with a lot of young talent still on the rise. But did anyone foresee a 2013 AL East crown, a 2013 AL Pennant and a team within one game of winning the World Series? Perhaps, but come on…really? Think about this: The first World Series, as we know it, was held in 1903. Boston won that season and went on to win five of the next 15 (’03, ’12, ’15, ’16, ’18). Flash forward 86 years and since 2004, this COULD – and I emphasize greatly COULD – be their third Series title in 10 seasons. That’s “ahead of the curve” this century compared to last. Think about this: The Boston Marathon bombings happened roughly one hour after a wild Patriots' Day celebration when Mike Napoli doubled in Dustin Pedroia for a walk-off win. The mantra "Boston Strong" has been placed on a jersey with the number "617" - Boston's area code - in the dugout for every game since. This team embraced the city and the city likewise. It's what Boston does. It's how Boston remembers its historic past and presses forward for a bright future, both on and off the field. Think about this: John Lackey was returning from Tommy John surgery and looked decent in Spring Training. None of us knew how he’d do in high pressure situations, his velocity was down, but he was in incredible shape and seemed to be locating the ball well. Then, April 6 came and it was Lackey’s first regular season appearance since 2011. And in the fifth inning, it looked like he may never pitch again. His right arm dangled after he fired a pitch and he reached for his lower biceps/elbow area. There was concern on everyone’s face who was near the scene. It was a scary moment, really, but later we found out that Lackey just had a muscle cramp/pull and the severity of the injury turned out to be minimal. Lackey turned out to be just fine and pitched a heck of a season, considering the lack of run support. On Wednesday, Lackey gets a chance to be the winning pitcher of the World Series clincher for the second time in his career. He won Game 7 of the 2002 Series with the Angels, becoming only the second rookie to start and win Game 7 in World Series history. Pedroia signed a long-term contract; Jon Lester returned to form and has been as dominant as any starting pitcher in the World Series as we’ve ever seen; Jackie Bradley Jr. has shown flashes of brilliance and that he can be a good solution to the outfield for the future; Xander Bogaerts has impressed everybody with his poise and demeanor, and he has multiple All-Star seasons ahead of him. take place Wednesday Night at Fenway Park? John Farrell has done one of the best jobs managing the clubhouse in recent memory and he and his coaching staff deserve a ton of credit for putting this team where it is today. Same goes for Ben Cherington and the Baseball Operations staff. Kudos to them for finding and signing Napoli, Shane Victorino, Jonny Gomes, Ryan Dempster and David Ross, and developing players like Daniel Nava and Felix Doubront. There are two more names I’d like to mention and I think we all can agree that without them, this team isn’t sitting in the position it’s in. First, Koji Uehara. Again, a great sign by Cherington. But nobody saw this coming. Remember we had Joel Hanrahan and Andrew Bailey as our closers? Both of their seasons ended with injuries and it was near panic mode trying to figure out the closer situation. Koji stepped right in and quickly became the best in baseball this year. I don’t want us to forget that the closer situation also opened the question of who would be the eighth inning guy(s). Junichi Tazawa, Craig Breslow and a few other have filled in tremendously to bridge the gap to Koji. But Koji…wow! He slams the door shut, locks the deadbolt and high fives his way to victory every stinkin’ night! When he’s in, the seven fielders behind him might as well just untuck their jerseys and head to the dugout because: Game over. He hasn’t walked a batter since August. 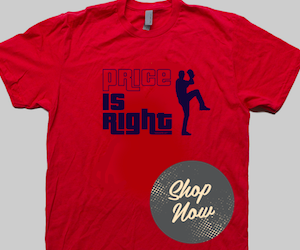 He throws nothing but strikes and has confidence in each of his pitches. His velocity touches 90 mph on a good day, but hitters are late or fooled every at-bat. Simply amazing. 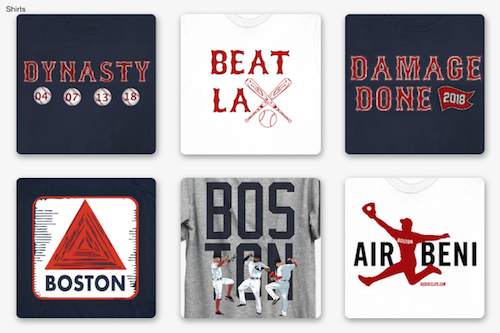 There's "Worst to First", #GetBeard, #HighFiveCity, #WinToday, #BostonStrong and a slew of other slogans that this team has lived and fought by this season. This loveable bearded bunch has a hold of our hearts and we don’t want them to let go.